The Daisy 953 is, for it's price, surprisingly accurate. The somewhat heavy and creepy plastic trigger, however, makes it more difficult (for me) to shoot it accurately offhand. I'll take the AR2078 over the 953 any day. Thanks for your comments. I've not shot a 953 myself. I have a 953 in my collection and rave about every chance I get. Looks like it proved itself well in this review. Very well in fact. Yes? Lets not forget the 953 retails for over $100 less than the AR2078. As far as the trigger - very easy to make significantly better. Mr. Archer, do you happen to know what manner of hold (or rest)Kevin was using when he shot these groups? 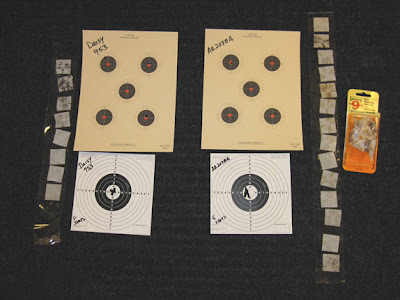 Also, do the upper (red-centered) targets represent groups, or are they single shots aimed at the centers? Do you know if the Daisy was shot using aperture sights? Thank you. For your 953, you can get a booklet from the CMP (http://www.odcmp.co/Programs/publications.htm) "Tom Johnson's Sportster Tips" that has the instructions to fix the trigger. 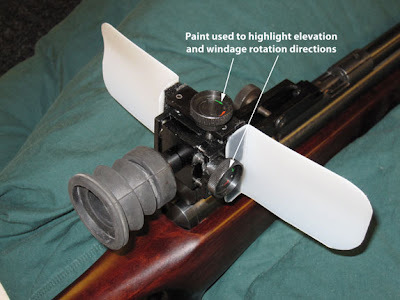 Of the 3 trigger modifications, the only one that really needs to be made is to deburr the trigger sear, and luckily that is also the easiest of the mods to do. You get 80% of the benefit from that one modification. To balance it out, you have to buy the diopter sights for the 953. This adds $40-100 (depending on what sights you get) to the price of the 953. The better Gamo sight is about $100, which is more than the cost of the 953.